Hand-in-hand, we can join together in unity and solidarity with all mankind by sharing our respect with everyone everyday. We are all in this with one another. It doesn't take superheroes to save the world when we listen and learn from each other. Together, there is no mountain too tall or river too wide for us to cross. Join Stan Lee in bringing respect to all people. Despite extraordinary differences, America is a country formed from the strength of diversity in our people and ideas. Join Stan Lee in spreading respect to mend our deepest divisions. Respect can be shared by everyone. Spread Stan's message by treating strangers, friends, law enforcement and family with respect. Out of many, we are one. 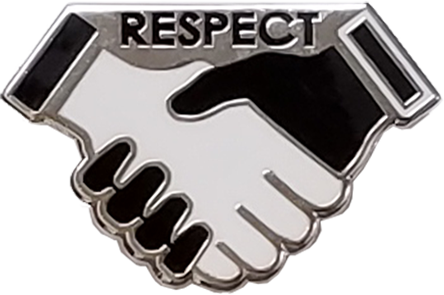 The Respect Pins were created by Stan Lee to serve as a reminder that respect is for all people. 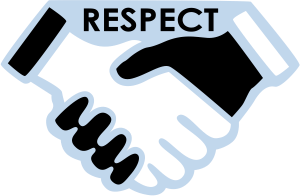 Respect is something that can–and should–be both given and received. With each order, you get a second pin to give to a friend, coworker or stranger. Help Stan Lee spread respect to all!